Back in the ’80s, Stryper and Dokken were two of the most successful bands in Hard Rock/Metal. 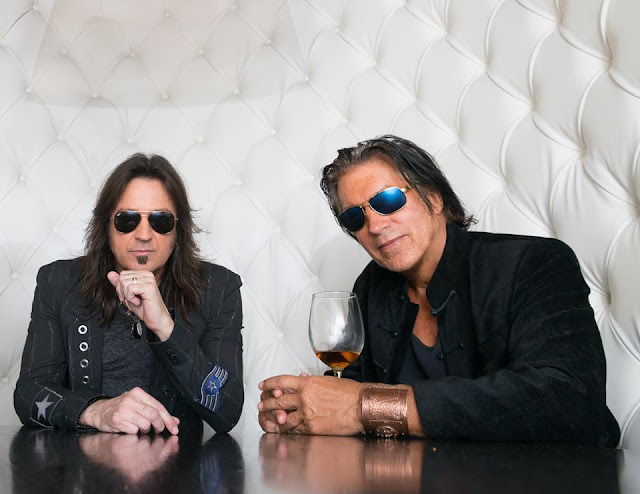 Decades later, Stryper frontman Michael Sweet still fronts the long-running Christian group, while former Dokken guitarist George Lynch is keeping active with a host of projects including Lynch Mob and KXM. 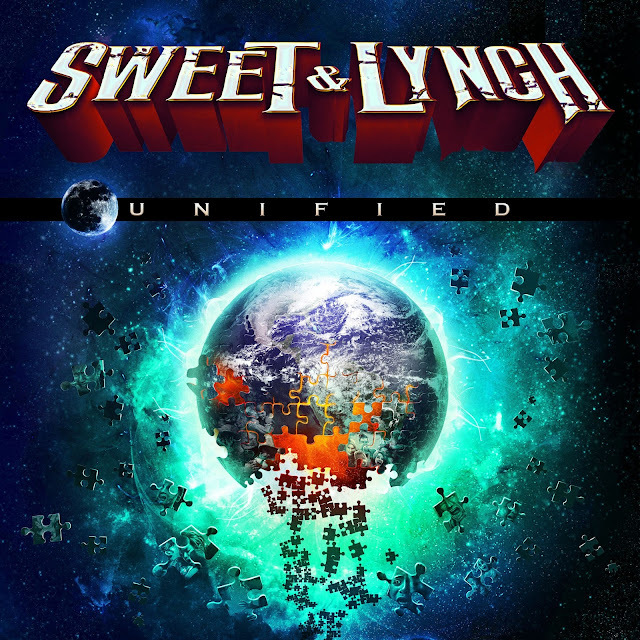 Together, they lead the fantastic Sweet & Lynch, an ongoing endeavor that will release its second album, Unified, on November 10 via Frontiers Music. The follow-up to Sweet & Lynch’s 2015 debut, Only To Rise, the Sweet-produced Unified again features the powerhouse rhythm section of bassist James Lomenzo (Megadeth/White Lion/Black Label Society) and drummer Brian Tichy (The Dead Daisies/Whitesnake). The release of Unified adds some much-needed good news to the world of Michael Sweet, who (along with Stryper guitarist Oz Fox and drummer/brother Robert Sweet) has spent recent months addressing a very public – and quite acrimonious – feud with departed Stryper bassist Tim Gaines. Sweet and I discuss the current status of that situation – as well as the creation of Unified and several other topics – in the following interview. I get a lot of albums by “side projects” or “supergroups” that do one album and one round of interviews, and then they’re out of there. Obviously, that’s not the case with what you’re doing with George. What makes Sweet & Lynch something that you’re all obviously committed to moving forward with at this point in time? I’d like to think and hope that George likes working with me as much as I like working with him. We enjoy it, have fun doing it and get excited about doing it. We are similar in our styles of writing, believe it or not. The bands we come from, Stryper and Dokken, have similarities there – that Melodic Metal thing. I just think it’s a good fit and a good combination. Because of that, when we do an album, it comes out, we carry on, two years pass and the opportunity comes up for us to do another one, we’re ready to do it. I hope that we can do many more – maybe two, three, four more albums together – and make this a steady band. A lot of this Sweet & Lynch record, and Stryper’s most recent output as well, is a lot heavier than what you were doing in the ’80s. Has that been the result of a conscious decision or more of the result of simply how your songwriting has been developing organically over the years? I think it’s a combination of many things. Hopefully, the songwriting developing more and us kind of getting better at our craft is a part of it. The other side of that coin would obviously just be the times that we live in. We’re constantly influenced by other bands; we’re listening to new bands. I know George stays up on that, and I stay up on it. That’s going to have some influence and inspiration, of course, in what we produce and write. Then, there’s always this thing where I try to include and involve the fans. I ask fans all the time on my Facebook, ‘What do you want?’ I get flak for it; I get some fans who say, ‘Dude, who cares what we want? Just do what you want.’ On occasion, I get people in the industry who say, ‘Why do you ask the fans? Just do what comes from the heart.’ The reason why I want to ask the fans is because they’re the ones who are supporting what we do. They’re the ones who miss this particular style [of music] or want to hear this particular style of solo or this type of scream. There was a phase Stryper went through where we got away from that; we got away from solos and all the signature things that people expect from us. We kind of lost ourselves to a degree, and that’s when I started asking fans what they want. They said, ‘More solos! More screams!’ or more this or that. We gave it to them with No More Hell To Pay  and Fallen  and then soon. I don’t want to say we re-invented ourselves – to a degree we did because we incorporated modern production and today into what we do musically – but we found ourselves again. Sometimes that takes going back and listening to the old albums and just kind of recalling what you were and what you did. What do James and Brian bring to Sweet & Lynch that wouldn’t be there with a different rhythm section? I think they’re one of the best rhythm sections in Rock, period. You’re not going to find a better power drummer than Brian, and you’re not going to find a better bassist than James – and then the two of them together is off the charts. They’ve done a lot of stuff musically together, so they play together very well. They know what each other’s going to do. It’s interesting the way they track. I tracked Brian live out in the room at Spirithouse, and then James was out in the room with him playing his bass tracks. Once Brian completed his track and we had our take – which was usually in one or two passes – he would go take a coffee break and we would just punch in whatever notes James didn’t nail or didn’t follow Brian on or what have you. We’d just go in and spend 15, 20 minutes, and boom – there’s a drum and bass track. It was so fluent and so effortless; it worked beautifully. Right from the first track, your voice is as strong as it’s ever been. What has been the key to staying at the top of your game after decades of touring and recording? Lots of whiskey and steroids! I just to try to take care of myself. I’m not a guy who smoked or drank his whole life. I have a drink on occasion – and I always talk about that. I have smoked before; I love a good cigar on occasion. But I’m not a chain smoker, and I’m not an alcoholic. I haven’t been living for 35 years with booze and smoke in my body, and I think that’s really helped me to preserve my voice to some degree. The other side of that is trying to figure out my strengths and weaknesses and staying away from my weaknesses and going in the direction of my strengths. I can still do 75 to 80 percent of what I could do before. I don’t have the range I had; I finally reached puberty and my voice came down a little bit! I don’t know if that’s necessarily a bad thing, because my voice was just so darn high. Now that it’s a little lower, I think it actually works for the style that we do now. The new album is out on Frontiers from Italy, and I get a lot of albums by that label from tons of bands I grew up on. Why do you think the genre that they specialize in continues to attract such a strong fanbase and response overseas? It was a great era; it was one of the best in music. Some of the best bands ever to come out and produce music came from that time period. That’s of course my opinion – and I think many people’s opinion. Obviously, it’s in demand, and that’s why Frontiers puts it out. I’ll be honest – I wish there were some albums that Frontiers didn’t put out. (laughs) That being said, I love Frontiers; I love them, respect them and love working with them. I hope to work with them for many years to come, but I just think sometimes you can put out a little too much. What happens when you do that is sometimes – not all the time – the quality starts to suffer. It’s important to release the best. I’m hoping and praying that George and I and Stryper are doing this – releasing really good-quality stuff that holds up with anything else out there from that period. Hopefully, we’re delivering that. But I heard something recently, and I was surprised it was a Frontiers release. Maybe it was just not my bag. I don’t know. I’m not going to say names. Are you kidding me? Well, I have to ask! Well, of course! It was something I heard, and I just kind of sat there in disbelief thinking… It sounded like a really bad demo to me, and I was just kind of shocked. But 90 percent of what Frontiers releases is outstanding. I love the Revolution Saints stuff; it’s fantastic. That’s what I’m talking about; that’s the quality. You’re working with the highest level of musicianship. These guys can write songs, and they can perform. Doug [Aldrich], Dean [Castronovo], Jack [Blades] – they’re all legendary guys and fantastic. If you put together a band like that, how can it be bad? That’s the kind of stuff that Frontiers is putting out that’s making me smile and go,’ Wow! That’s great!’ I think the [new] LA Guns album is great – really good-sounding and very well-produced with good and fun songs. It sounds great, but then you hear something on occasion that makes you scratch your head. Obviously, you’ve been around long enough in this industry to remember when things were very different. There was a time when your music was all over MTV and albums were selling huge numbers. Since you’re still doing this, what have been the most significant ways you’ve had to adapt to how things are now in order to still grow and survive as an artist? It’s all about upfront money now. Back in the old days, it used to be about back-end money. You would get your advances to go make an album, and most bands – I would assume – would spend that money on the album. You might have a little fun and go out to dinner and enjoy yourself while you’re making the record and spend some money in that way, but actually putting a good portion of the advance in your pocket didn’t happen. You would see your money from artist royalties on sales and – if you wrote the songs – writer royalties and publishing. That’s where you really did well. Nowadays, it’s reversed. We get a good budget from Frontiers, and we go in and try to make the album for maybe a quarter of the advance or a little but more, and then we’ll take the rest of that and put it into our accounts, pay our bills and do what we need to do with that – and then we never see another dime again. It’s kind of how it works. (laughs) I think that’s part of the reason why you see artists like George and myself doing so much stuff – not all [of the reason], but part of it. First of all, we can – Thank God. We have the vision, passion and creativity to do that, and hopefully that well will never run dry. But it’s how we pay our bills, too. We keep doing stuff and doing stuff and doing stuff. I think any smart musician out there who’s capable of doing that understands and does the same thing. There has been some recent upheaval within Stryper. What can you tell me in terms of how things are going within the band now and what we can expect from Stryper in 2018? Things are going fantastic in the band now. Prior to the band parting ways with Tim Gaines, things were going terrible. It was a nightmare, to be honest. That was just based on a lot of stuff going on internally within the camp and whatnot – things that were being said online and done, tarnishing the brand and the name and all that stuff. It was a real bummer, but we’re through that now. We’ve parted ways; we let Tim go, and we really had no choice. People ask us all the time, ‘Can’t you guys work it out?’ Yeah, we tried to for 34 years. This is the third time he’s been out of the band. It kind of answers all the questions if you just stop and think about that briefly. It hasn’t always been a bed of roses; we’ve had issues over the years. We love Tim; he’s our brother. We’ve done a lot with him; there’s a history there. We’ve done some incredible things with him and seen, done and experienced a lot. We’ll never forget that, and hopefully he won’t, either. At this point, we just have to go our separate ways, and we wish him well. We hope that he does something great and gets in another band and does big, wonderful things – and we’re going to keep doing the same. That’s about as simple as it is. We’ll be able to talk a lot more about things once we find a bass player and move forward with new stuff. We’re going to be making a documentary, and we’re really excited about that – it’s gonna be awesome. At some point, I’m sure people will know a little bit more about the situation, but there’s also a lot of stuff that people don’t need to know. It’s not like it’s really anybody’s business in terms of the gory details. Will the documentary be career-spanning, or are you focusing on one particular element to the band? It’s going to be career-spanning, just focusing on the good that Stryper has done. All the people we have influenced and the lives that have been changed – people who were once drug addicts [and] alcoholics who are now pastors or they really moved on to do great things. People in other bands who you might not ever imagine are Stryper fans. It’s going to be really cool, man. We’ve got it all laid out, and we’re going to start work on that really soon. It’s going to take us a couple of years to complete, but it’s going to be a big deal. It’s not going to be just some typical documentary like most. It’s going to be really unusual and interesting in a really cool way. I think when people see it, they’re going to be completely mind-blown. You just mentioned the effect you’ve had on people through Stryper, which leads me to my last question. There are a lot of things going on in this world right now that are making people unhappy, regardless of what their religious or political stance may be. As someone who has built his career by spreading positivity, what is the ultimate message you’d like to offer people who might find themselves facing obstacles or losing hope? It is an insanely crazy world we live in right now. There’s a lot of tension and division, and it’s scary. We try to live our lives and continue on with our day-to-day routine – whatever that is; it’s all different from every one of us. But at the same time, I think deep down in the back corners of our mind, we’re all a little scared. If we’re not, then we’re living somewhere else – on a different planet. You hear about talk of a nuclear war and all sort of things going on politically and just things with the Earth and the climate – hurricanes more powerful than we’ve ever seen and back to back. You think, yeah, that stuff has happened in the past, but it just makes you wonder what’s going on here. Everything just seems to be to a different degree and level. Man, I just think it’s important for us to be praying a lot. People say, ‘Yeah, well, you’ve got to do more than pray.’ Of course you do, but I don’t think we pray enough. I think what prayer does is clear the mind and the heart. You come out of prayer a different person – a little humbler, a little happier. Maybe once you leave that door for the day after having said a prayer, you might be a little better person to the next person you see. Maybe, eventually that’ll change how things are in our society, because there’s way too much hate that’s spreading like a cancer. If we’re a little happier, we’re spreading a little more love and eventually that’s going to spread and consume the hate. It’s important that we just love one another and be better and nicer to one another. Maybe that day’s gonna come.